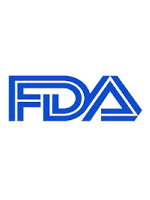 The U.S. Food and Drug Administration today approved Venclexta (venetoclax) for the treatment of patients with chronic lymphocytic leukemia (CLL) who have a chromosomal abnormality called 17p deletion and who have been treated with at least one prior therapy. Venclexta is the first FDA-approved treatment that targets the B-cell lymphoma 2 (BCL-2) protein, which supports cancer cell growth and is overexpressed in many patients with CLL. According to the National Cancer Institute, CLL is one of the most common types of leukemia in adults, with approximately 15,000 new cases diagnosed each year. CLL is characterized by the progressive accumulation of abnormal lymphocytes, a type of white blood cell. Patients with CLL who have a 17p deletion lack a portion of the chromosome that acts to suppress cancer growth. This chromosomal abnormality occurs in approximately 10 percent of patients with untreated CLL and in approximately 20 percent of patients with relapsed CLL. The efficacy of Venclexta was tested in a single-arm clinical trial of 106 patients with CLL who have a 17p deletion and who had received at least one prior therapy. Trial participants took Venclexta orally every day, beginning with 20 mg and increasing over a five-week period to 400 mg. Results showed that 80 percent of trial participants experienced a complete or partial remission of their cancer. Venclexta is indicated for daily use after detection of 17p deletion is confirmed through the use of the FDA-approved companion diagnostic Vysis CLL FISH probe kit. The most common side effects of Venclexta include low white blood cell count (neutropenia), diarrhea, nausea, anemia, upper respiratory tract infection, low platelet count (thrombocytopenia) and fatigue. Serious complications can include pneumonia, neutropenia with fever, fever, autoimmune hemolytic anemia, anemia and metabolic abnormalities known as tumor lysis syndrome. Live attenuated vaccines should not be given to patients taking Venclexta. The FDA granted the Venclexta application breakthrough therapy designation, priority status, and accelerated approval for this indication. These are distinct programs intended to facilitate and expedite the development and review of certain new drugs in light of their potential to benefit patients with serious or life-threatening conditions. Venclexta also received orphan drug designation, which provides incentives such as tax credits, user fee waivers and eligibility for exclusivity to assist and encourage the development of drugs for rare diseases. Venclexta is manufactured by AbbVie Inc. of North Chicago, Illinois, and marketed by AbbVie and Genentech USA Inc. of South San Francisco, California. The Vysis CLL FISH probe kit is manufactured by Abbott Molecular of Des Plaines, Illinois. US Food and Drug Administration. FDA approves new drug for chronic lymphocytic leukemia in patients with a specific chromosomal abnormality. Updated April 11, 2016.